Picture this: It’s a warm, sunny day, the ideal weather to go to the beach. The water that spans the horizon is of a blue-green gradient. The fine white sand creeps between your toes and not a patch of seaweed litters the beach. You hear the sound of the crashing waves and feel the cool sea breeze brush through your hair as the warm sun kisses your skin. You close your eyes and take it all in: the sights, the sounds, the sensation, and the scents of beautiful, pristine nature. It’s a perfect day to go a special place where you can escape all the pressures and worries of life. You run as fast as your feet can take you to the infinite pool of crystalline water. The refreshing seawater takes your breath away as your mind floats peacefully with the waves. And once you’ve had your fun, you drift back to shore, to your spot under a palm tree. Here you are, here you can be yourself. Now imagine capturing the essence of the beach, one of the ultimate summer getaways, in a bottle. Tupperware Brands, through the H Paradise Collection, allows you to escape to your summer haven! Take a trip down a sandy memory lane with a scent that is guaranteed to bring a smile to your face and serenity to your being. When you’re ready to bring sweet memories back, summertime is a spray away with the H Paradise Collection. H Woman Paradise is a Fruity Floral fragrance available as a Body Mist and Skin Softening Hand & Body Lotion, reminiscent of fresh summer days. Also available as a Body Mist and Roll-On Anti-Perspirant Deodorant is H Man Paradise with a Woody Musky scent, which triggers memories of summer love. Follow your nose towards summer and get H Paradise by contacting your local Tupperware dealer or visiting a regional Tupperware Brands branch. 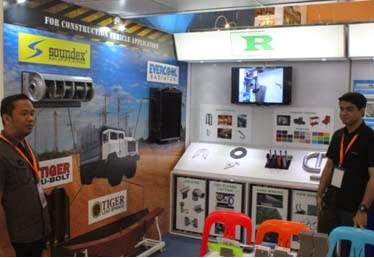 Last March 11-15, 2015, Roberts Automotive & Industrial Parts Manufacturing Corporation joined the 20th WORLDBEX (The Philippine World Building and Construction Exposition) held at World Trade Center, Metro Manila. The annual convergence of sovereign representatives of local and international building and construction industry was participated by 500 exhibiting companies from 25 countries in Asia. Roberts as one of the competitive manufacturing businesses emphasized its high quality products that continuously serve the construction industry such as custom-built u-bolts, Evercool radiator, Tiger leaf springs, Soundex mufflersand its new capabilities such as Painting, Pipe bending and Welding. Choose from 3K, 5K or 10K event categories. Finishers will have finisher medals and finisher cowboy hat when they cross the finishline. 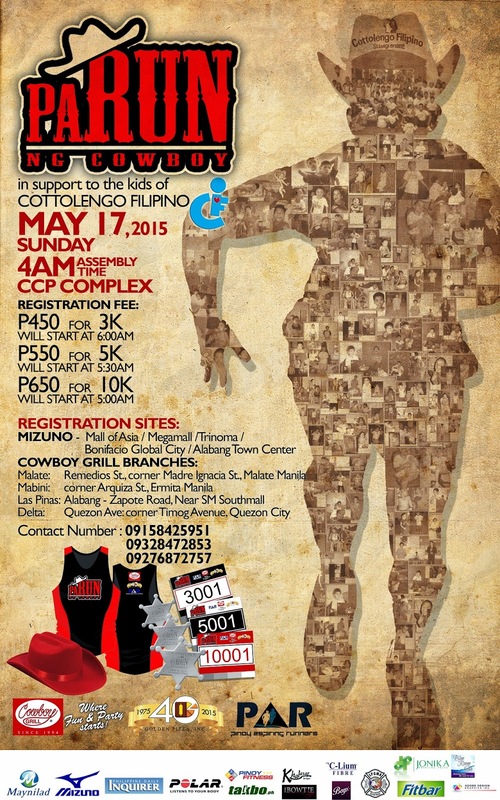 Registration is inclusive of singlet, race bib, finisher medal and finisher cowboy hat. Apart from Baskin-Robbins’ unique and timeless 31 ice cream flavors, the new Greenbelt shop also serves a delicious range of frozen delights including ice cream cakes, milkshakes, and sundaes. Baskin-Robbins was founded in 1945 in Glendale, California by Burton Baskin and Irvine Robbins, ice cream enthusiasts and brothers-in-law, whose passion inspired what is now the world's largest chain of ice cream specialty shops. As of 2013, Baskin-Robbins has 7,300 shops in nearly 50 countries, with the U.S. having the largest number at 2,500 ice cream stores. 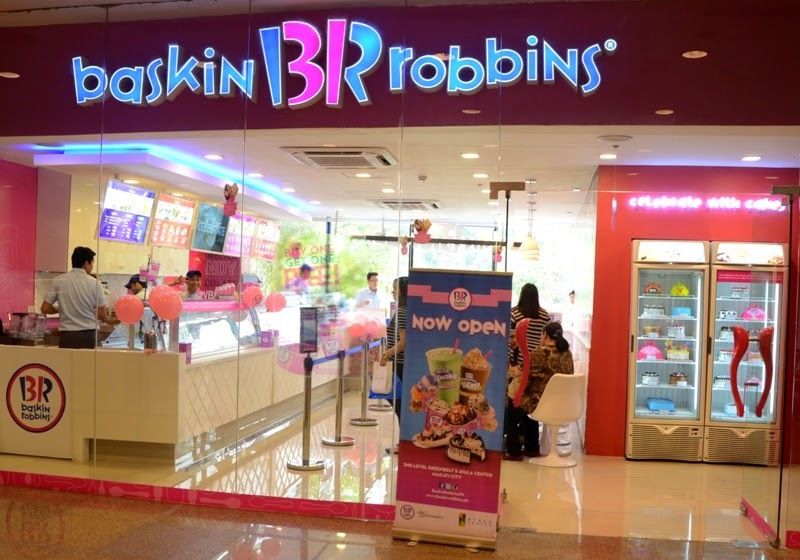 Today, Baskin-Robbins is the world’s largest chain of ice cream specialty stores, serving over 300 million customers each year worldwide. For more details about Baskin-Robbins, visit their website www.baskinrobbins.ph or check out their Facebook (www.facebook.com/baskinrobbinsph), Twitter and Instagram (baskinrobbinsph) accounts. 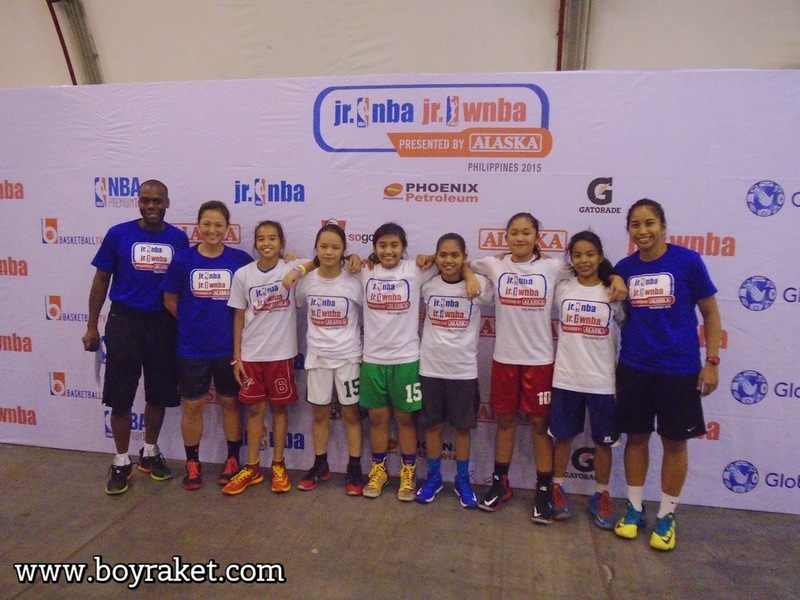 JrNBA and JrWNBA Regional Selection Camp powered by Alaska now have its qualifiers. 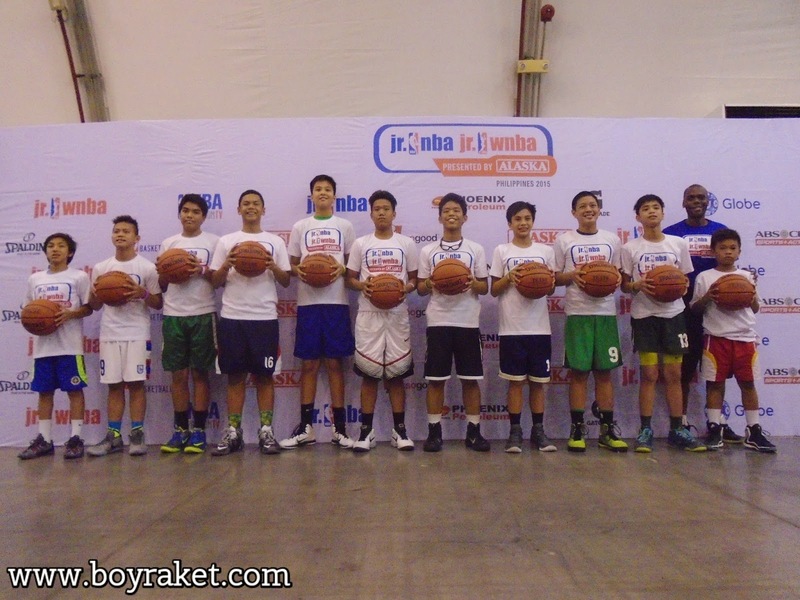 After several trainings and challenging competition here are the finalist. At the end of the day, everybody had fun and for the non qualifiers, I'm pretty sure that they train even harder to make it to the camp next year. 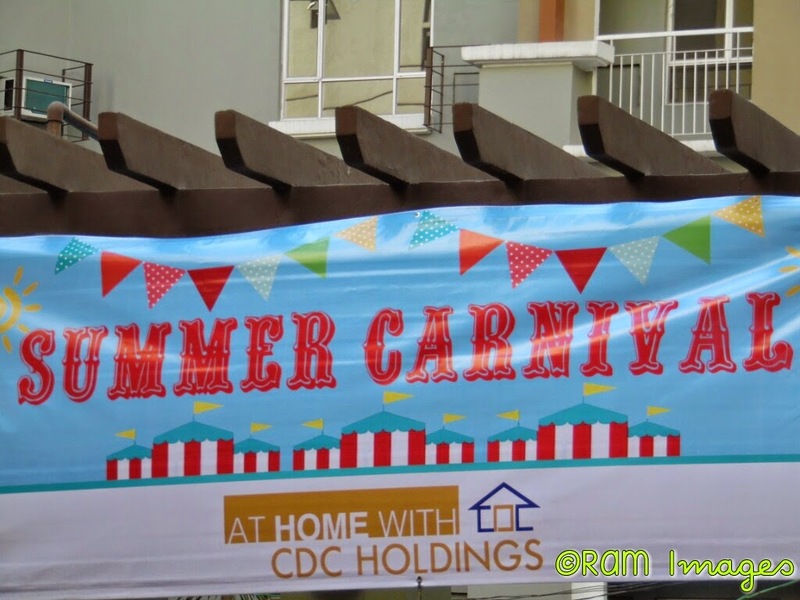 Real Estate development company, CDC Holdings, embraces summer through fun and games as it holds the first summer carnival event for its residents!, The event kick off this April 18 at its Manila Rivercity Residences Project in Sta Ana Manila. 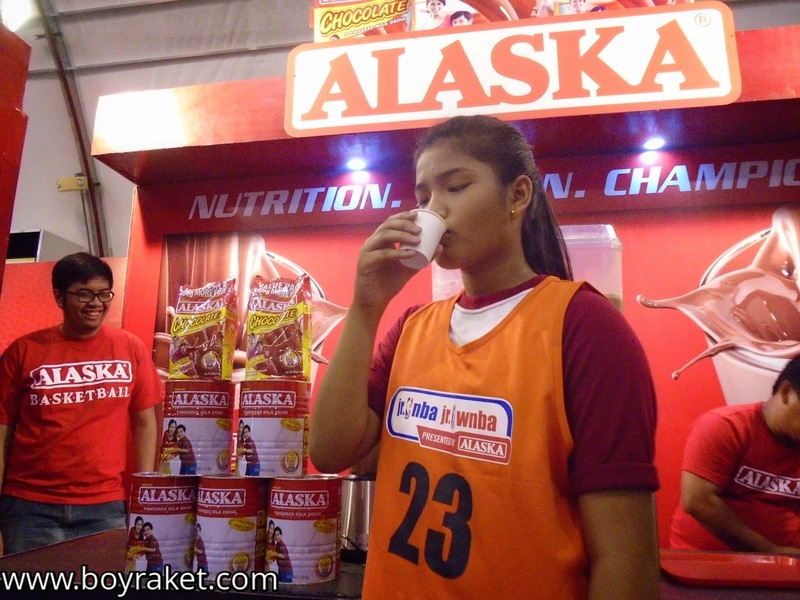 The kid and families from its Paranaque property, Lions Park Residences, will enjoy the event the next day. The Summer Festival event features outdoor recreation wherein members of the CDC community are given the chance to have a fruitful bonding experience while enjoying the games and prizes CDC has prepared. CDC Holding believes in going beyond buying properties, but puts values in building communities. It takes time to initiate and organize fun activities for its residents whole year round. “ We have always valued building communities as part of developing our properties. This is our way to foster a sense of community and further build goodwill among our residents. Through activities such as the Sumer Carnival, we wish to instill to our residents the value and importance of community, especially during this time when we are moving at a faster pace and seem to be more detached from each other due to technology, as well as busy schedules. 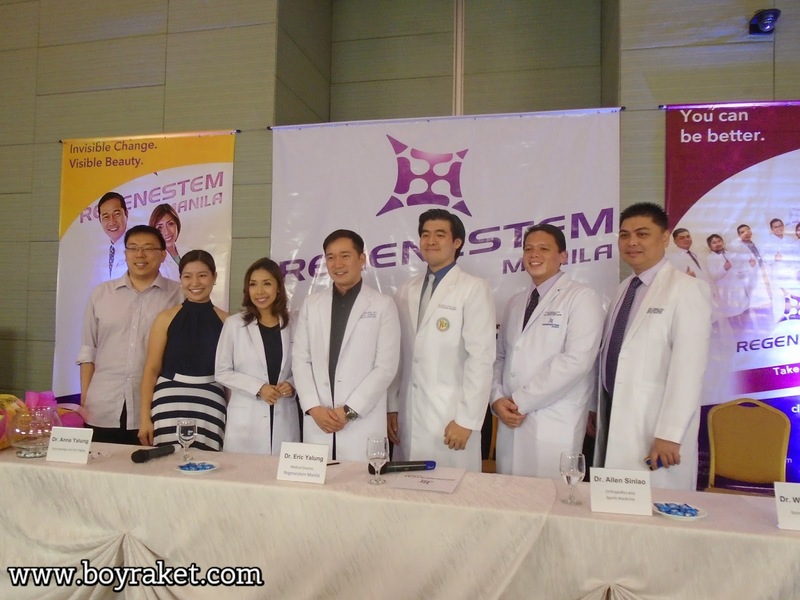 We want to bring back that sense of community wherein neighbors interact positively and support each other, providing a sense of belonging that is beneficial to all”, Charlene Chua, CDC Hodings Executive Vice President explained. At the CDC Summer Carnival, exciting games are in store for residents, including Hoop-A-Loop (ring toss), knock out, catch the fish, target shooting, and balloon darts, kids of all ages can also enjoy being engulfed in a giant zorb ball, as well as have fun time with other kids, such as cotton candy, snow cones, and squid balls. CDC Holdings Inc. is the investment arm of a group companies engaged in property development, property management, sales and marketing, and hotel and serviced-residents management. Founded in 1986 by Elsie Chua, CDC Holdings President and Chief Executive Officer, the company has since established itself as one of the most recognized and respected leaders in the Philippine real estate industry. In its more than 28 years, CDC holdings has grown and expanded its set of core businesses to meet clients specified needs and uphold its commitment by delivering almost 10,000 quality investiments. THE FIRST BORACAY MUSICFEST :"WORLD MUSIC IN THE ISLANDS" , in tandem with the Boracay Resorts Owners ,Local Government and Department of Tourism for the campaign promoting Eco-tourism. TARA, TARA, TARA SA CORREGIDOR! "The Corregidor Coastal Cleanup 2012", A Hystorical Coastal Clean in the island of Corregidor with support from DOT and Corregidor Foundation. “SARUNG BANGGI PARA SA MAYON” (One Night For Mayon) , A Fundraising Theatre Benefit Show to raise Funds for the livelihood of the Mayon Evacuees in Legaspi Albay. “LAPU LAPU", Ten nights performances at the Cultural Center of the Philippines , The First Original Neo-Classic -Ethno-Rock Opera in 5 languages on the mystique that enshrouds the first native to defy imperialist power. "STO.CRISTO DEL TESORO" ORATORIO”, an original theatre production for the College of Santa Isabel in celebration of their founding anniversary and for the benefit of their deserving scholars. In the beginnings of the new millenium of summer 2000, EARTHBORNE, the first of the music tribute series begun in celebration of the worldwide Earthday movement. From Subic's forest reserve, Earthday Jam moved to the frenzy of the metropolis. The music event rocked and raged every Earthday of the year to enjoin people to take a stand and fight for mother nature. EARTHDAY JAM has been the platform of the country's exemplary musicians successfully creating a green and tight network merging music artists and environmental practices. EARTHDAY JAM has convened influencial resource persons from both the government and civic society and drumbeat the urgency of Earth's degradation. EARTHDAY JAM has placed the Philippines in the international program of events every Earthday. It has been the highly anticipated event with its legion of followers attending every Earthday for more than a decade now.... raising comparisons to other "Unity Through Music" type concerts like "Live Aid", "12 12 12" and even "Woodstock". EARTHDAY JAM is always supported with enthusiasm by Department of Environment and Natural Resources (DENR), Earthday Network Philippines, Climate Change Commission, the Local Government (LGUs) where it was been variously held and national and international coporation partners whose corporate responsibility focuses on the wellness of the environment and the sustainability of communities. With over 100 artists performing and thousands of participants attending, EARTHDAY JAM continues to disseminate information on environmental care and preservation through music, visual arts and on-site exhibits. 2015 marks EARTHDAY JAM's 15th Anniversary and will present a 15 hour multimedia extravaganza. 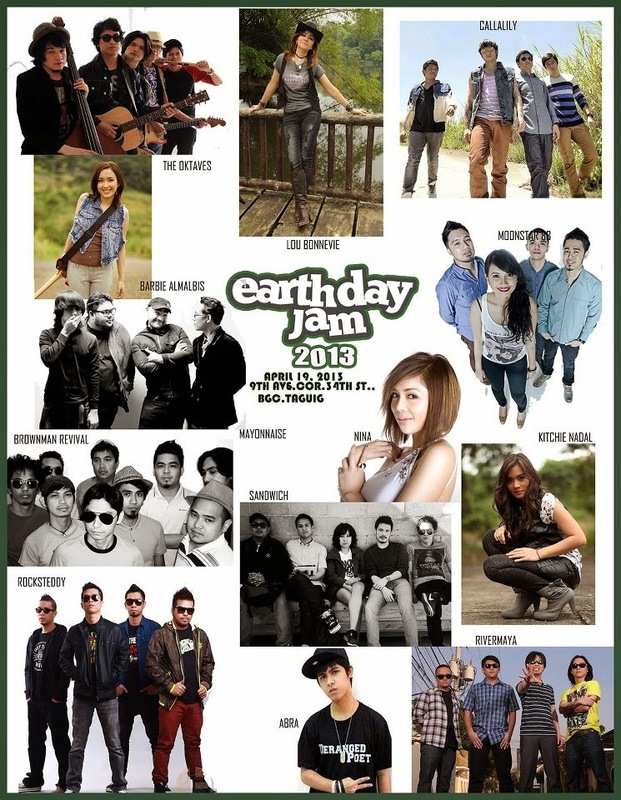 For more information you can check www.earthdayjamfoundation.com, you can also check their Facebook as well. August Benedicto, he didn't expect to be from where he is right now but he is a renowned Elite Triathlete having won several major races including the Cobra Ironman 70.3 2012 and 2014 as a Champion. From a humble vendor he started to train and did it everyday. At the end of the day...He love running! And it is enough that made him a champion. It’s all systems go for the first ever Madrid Fusión Manila, the famed gastronomic festival from Spain! Gathering some of the world’s most celebrated chefs in one roof and promising a food experience like no other, Madrid Fusión Manila happens this April 24 to 26, 2015 at the SMX Convention Center in Pasay City. Madrid Fusión Manila will feature three main events, all of which present the Philippines as a rising culinary center of excellence in Asia: the International Gastronomy Congress, Trade Exhibition, and the Flavors of the Philippines. At the Congress, Michelin-grade Spanish chefs and celebrity chefs from Asia will showcase the latest culinary trends and techniques, continuing Madrid Fusión’s 12-year tradition of showcasing the future of food. Meanwhile, the Trade Exhibition takes guests to an unforgettable gastronomic journey featuring premium products from the world’s leading food and beverage companies, especially Spanish delights like wines, cheeses, and charcuterie, and Filipino treats such as chocolates, nuts, mango, artisanal salts, and liqueurs. Finally, the Flavors of the Philippines is a month-long cultural and gastronomic feast with food tours and tastings, roving food trucks, and bar crawls. All over the country, restaurants, hotels, bars, malls, and weekend markets are celebrating food with their own line of scrumptious offerings. 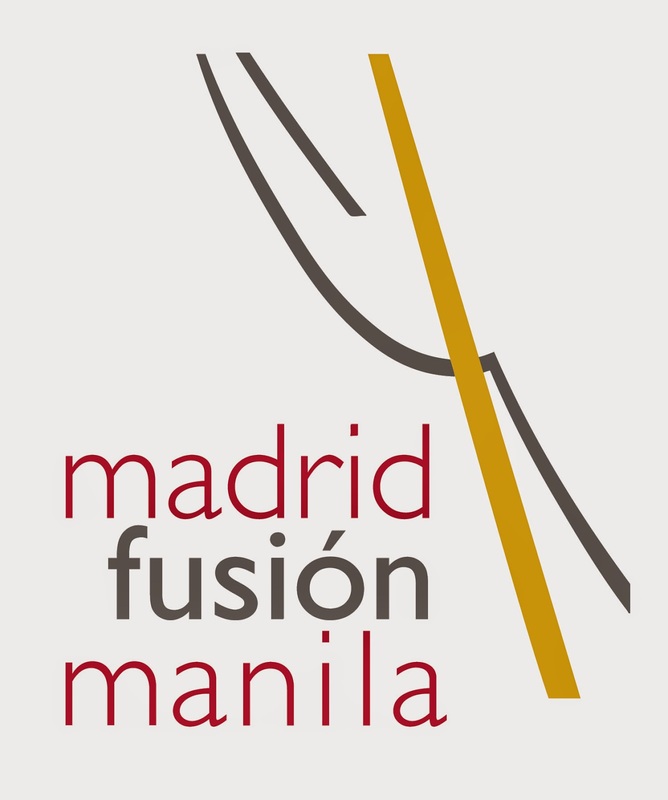 For more information about Madrid Fusión Manila, visit www.madridfusionmanila.com or www.visitph2015.com. SINGAPORE (08 April, 2015) – Agoda.com, one of Asia’s leading hotel booking sites and part of Nasdaq-listed Priceline Group (Nasdaq:PCLN), is offering instant room upgrades in eight of the Philippines’ favorite destinations – Manila, Cebu, Boracay, Bohol, Davao, Batangas, Angeles City and Tagaytay. Scoring free upgrades on airlines or hotels or car rentals is a constant daydream for travelers, although one that happens far too infrequently. However, from 8 – 22 April, every booking made throughwww.agoda.com/morefunphwill enjoy just that – a free upgradewithout the need to beg the front desk for a favor or say a silent prayer during check in. The stay dates for this promotion are from 8 April – 30 November, 2015. With a free upgrade out of the way, travelers can spend more time focusing on the important stuff – exploring thevibrant night life in Manila, preparing for island hopping adventures onthe pristine beaches in Boracay, or gearing up to experience the colorful marine life on dives in Cebu. Outdoor enthusiasts can look forward to spotting wildlife at parks in Davao, or trekking around the iconic Taal Volcano in Tagaytay. Don’t delay – the booking period is only from 8 – 22 April. To browse the hotels in each of the eight destinations, head to www.agoda.com/morefunph. Agoda Company Pte Ltd (Agoda.com) is a leading Asia-based, online accommodation reservations company, which specializes in securing the lowest discount accommodation prices. Agoda.com is part of The Priceline Group (Nasdaq:PCLN). Agoda.com's network includes more than 600,000 hotels and other accommodation properties worldwide. The multinational staff of more than 1,700 professionals, located throughout the world, provides a first-rate reservation service that uniquely combines local knowledge and local connections to provide the best accommodation deals to both business and leisure travelers. A member of the Pacific Asia Travel Association (PATA), Agoda.com's aim is to promote travel by making it more affordable and more accessible to more people.AGODA® is a registered trademark of AGIP LLC, used under license by Agoda Company Pte. 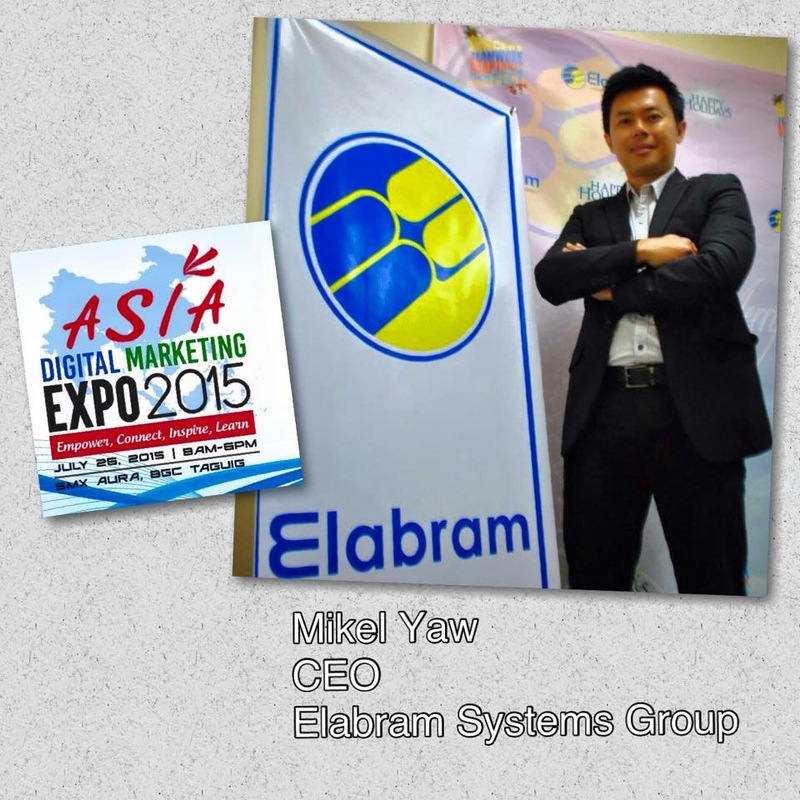 Ltd.
Mikel Yaw is the CEO and Managing Director of Elabram Systems Group (ESG) (http://www.elabram.com) with Headquarter in Malaysia & offices in the Philippines, Indonesia & Thailand. ESG main solutions are Network Planning & Optimization, Talent Acquisition & Deployment, Business Process Outsourcing & Knowledge Process Outsourcing. Mikel receives awards from Huawei China just this February 27, 2015 for his project contributions. Mikel also won different awards in Malaysia & Indonesia as Entrepreneur of the Year. For two years, Mikel participated as one of the speakers at LTE World Summit in Amsterdam & in USA and as a speaker for the upcoming LTE Middle East in Dubai this May 2015. Sand on your feet, warm summer breeze, its official—summer is finally here! During the hottest season of the year, people often spend more time outdoors which means prolonged exposure to the rays of the sun. Harmful ultraviolet (UV) rays may cause serious eye conditions like cataracts and macular degeneration. If it worsens, it could lead to blindness. Annually, around 3.2 million people worldwide become blind aggravated by UV exposure. Use sun lenses with E-SPF The heat of the midday summer is three times greater than other seasons. Temperature rises from 35 to 37 degrees Celsius, making UV rays more threatening to our eyes. To prevent eye damage, wear sunglasses with Eye-Sun Protection Factor (E-SPF). E-SPF indicates the overall UV protection of your lenses. It is an objective rating system, with values varying from 2 to 25 for clear lenses, and up to 50+ for sun lenses. The higher the E-SPF of your lenses, the higher the UV protection it brings. Unfortunately, not all lenses, whether clear or tinted, have equal UV protection levels. While most people use tinted sunglasses during summertime, it doesn’t necessarily guarantee the right amount of protection for our eyes. Sometimes clear lenses have more E-SPF than tinted ones. One of the best clear lenses for sun protection is Essilor’s Crizal Forte® UV, with an E-SPF of 25. It blocks both the front and back side of the lens from harmful UV, thus eyes are protected 25x more than without any glasses. Wear swimming goggles. According to the American Optometric Association’s (AOA) American Eye-Q® survey, 42 percent of swimmers open their eyes while swimming in chlorinated water. While it helps seeing underwater, exposing your eyes to the chlorinated pool water can drastically increase the chance of redness or irritation. To prevent this from happening, use goggles that will shield your eyes from this strong chemical. Goggles can also spare your eyes from contracting eye infection that is caused by improperly chlorinated pools. If you get pool water in your eyes, flush your eyes with warm water to prevent irritation or chemical conjunctivitis. If warm water can’t do the trick, consult an eye doctor immediately to effectively wash out the chemicals by using saline or topical steroids. See an eye doctor. Before you go on a summer adventure, it is best to talk to an eye care professional for recommendations on how to properly care for your eyes. You can also ask your eye doctor for trusted brands of optical lenses that will give your eyes the right amount of E-SPF. Caring for your eyes, especially during summer season, is truly important. Harmful UV rays are everywhere so our eyes are always at risk. By following these simple eye care tips, we can protect our eyes while enjoying the great outdoors. So before you head to the beach, make sure to apply sunscreen and keep your sunglasses on.